Managing Partner at Alfabeat, accelerator and early stage capital fund for technology projects. Since 2001 he has been an advisor in the field of business development and commercialization of R&D results in Koli, an industrial laboratory which runs non-destructive tests of metal structures. As the only Polish he was the President of the Board at international students’ association Board of European Students of Technology (BEST). He continued his career development by participating in a global programme for managers. He has worked for such companies as Ericsson, Gemalto, CLX Communications (WIRED100 Europe, NASDAQ Stockholm). 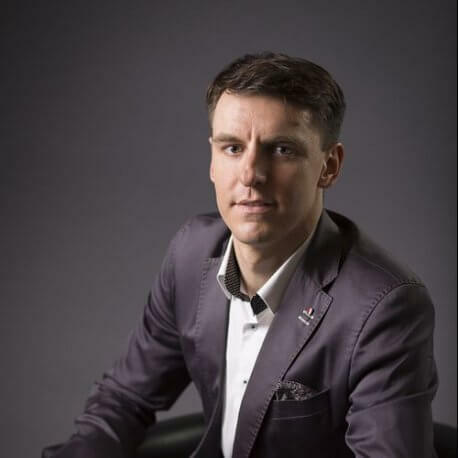 He is a co-founder of the first live-in startup incubator in Poland known as Clipster, as well as an international boutique consultancy Sumpaya Consulting operating in the sector of mobile communication services.